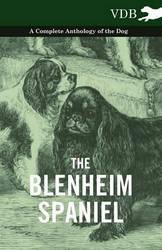 The Blenheim Spaniel - A Complete Anthology of the Dog gathers together all the best early writing on the breed from our library of scarce, out-of-print antiquarian books and documents and reprints it in a quality, modern edition. This anthology includes chapters taken from a comprehensive range of books, many of them now rare and much sought-after works, all of them written by renowned breed experts of their day. These books are treasure troves of information about the breed - The physical points, temperaments, and special abilities are given; celebrated dogs are discussed and pictured; and the history of the breed and pedigrees of famous champions are also provided. The contents were well illustrated with numerous photographs of leading and famous dogs of that era and these are all reproduced to the highest quality. Books used include: The Dogs Of The British Islands by J. H. Walsh (1867), British Dogs by W. D. Drury (1903) and others. 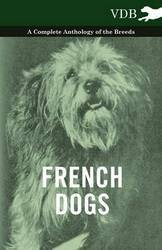 French Dogs - A Complete Anthology of the Dog gathers together all the best early writing on the breeds from our library of scarce, out-of-print antiquarian books and documents and reprints it in a quality, modern edition. This anthology includes chapters taken from a comprehensive range of books, many of them now rare and much sought-after works, all of them written by renowned breed experts of their day. These books are treasure troves of information about the breeds - The physical points, temperaments, and special abilities are given; celebrated dogs are discussed and pictured; and the history of each breed and pedigrees of famous champions are also provided. The contents were well illustrated with numerous photographs of leading and famous dogs of that era and these are all reproduced to the highest quality. 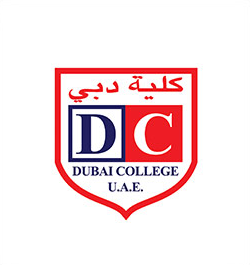 Books used include: My Dog And I by H. W. Huntington (1897), The Kennel Encyclopaedia by J. Sidney Turner (1907), The Practical Dog Book by Edward C. Ash (1930) and many others. 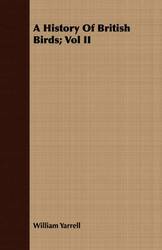 This Volume contains information on the French Bulldog, the French Spaniel, the French Poodle and Various other French breeds. 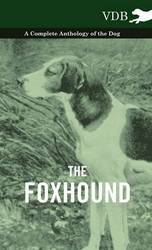 The Foxhound - A Complete Anthology of the Dog gathers together all the best early writing on the breed from our library of scarce, out-of-print antiquarian books and documents and reprints it in a quality, modern edition. This anthology includes chapters taken from a comprehensive range of books, many of them now rare and much sought-after works, all of them written by renowned breed experts of their day. These books are treasure troves of information about the breed - The physical points, temperaments, and special abilities are given; celebrated dogs are discussed and pictured; and the history of the breed and pedigrees of famous champions are also provided. The contents were well illustrated with numerous photographs of leading and famous dogs of that era and these are all reproduced to the highest quality. Books used include: My Dog And I by H. W. Huntington (1897), Dogs Of The World by Arthur Craven (1931), Hutchinson's Dog Encyclopaedia by Walter Hutchinson (1935) and many others. 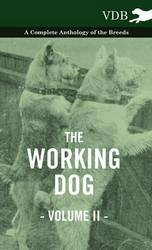 The Working Dog Vol. II - A Complete Anthology of the Dog gathers together all the best early writing on the breeds from our library of scarce, out-of-print antiquarian books and documents and reprints it in a quality, modern edition. This anthology includes chapters taken from a comprehensive range of books, many of them now rare and much sought-after works, all of them written by renowned breed experts of their day. These books are treasure troves of information about the breeds - The physical points, temperaments, and special abilities are given; celebrated dogs are discussed and pictured; and the history of each breed and pedigrees of famous champions are also provided. The contents were well illustrated with numerous photographs of leading and famous dogs of that era and these are all reproduced to the highest quality. Books used include: The Illustrated Book Of The Dog Vero Shaw (1879), The Show Dog by H. W. Huntington (1901), About Our Dogs by A. Croxton Smith (1931) and many others. 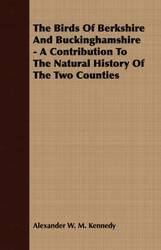 The breeds in this Volume include: The Newfoundland, the Schnauzer and the St, Bernard. 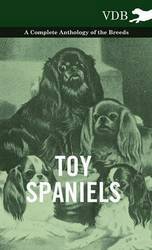 The Toy Spaniel - A Complete Anthology of the Dog gathers together all the best early writing on the breed from our library of scarce, out-of-print antiquarian books and documents and reprints it in a quality, modern edition. This anthology includes chapters taken from a comprehensive range of books, many of them now rare and much sought-after works, all of them written by renowned breed experts of their day. 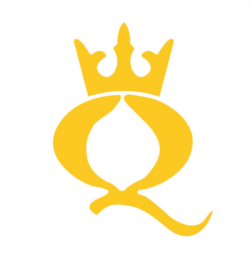 These books are treasure troves of information about the breed - The physical points, temperaments, and special abilities are given; celebrated dogs are discussed and pictured; and the history of the breed and pedigrees of famous champions are also provided. The contents were well illustrated with numerous photographs of leading and famous dogs of that era and these are all reproduced to the highest quality. 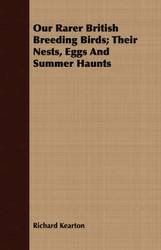 Books used include: My Dog And I by H. W. Huntington (1897), Up To Date Toy Dogs by Lillian C. Raymond Mallock (1920), The Practical Dog Book by Edward C. Ash (1930) and many others. 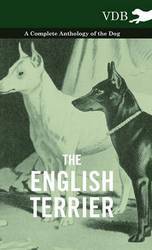 The English Terrier - A Complete Anthology of the Dog gathers together all the best early writing on the breed from our library of scarce, out-of-print antiquarian books and documents and reprints it in a quality, modern edition. This anthology includes chapters taken from a comprehensive range of books, many of them now rare and much sought-after works, all of them written by renowned breed experts of their day. These books are treasure troves of information about the breed - The physical points, temperaments, and special abilities are given; celebrated dogs are discussed and pictured; and the history of the breed and pedigrees of famous champions are also provided. The contents were well illustrated with numerous photographs of leading and famous dogs of that era and these are all reproduced to the highest quality. Books used include: A History And Description Of The Modern Dogs Of Great Britain And Ireland by Rawdon B. Lee (1894), British Dogs by W. D. Drury (1903), Dogs And All About Them by Robert Leighton (1910) and many others. 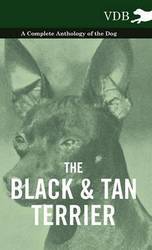 The Black and Tan Terrier - A Complete Anthology of the Dog gathers together all the best early writing on the breed from our library of scarce, out-of-print antiquarian books and documents and reprints it in a quality, modern edition. This anthology includes chapters taken from a comprehensive range of books, many of them now rare and much sought-after works, all of them written by renowned breed experts of their day. These books are treasure troves of information about the breed - The physical points, temperaments, and special abilities are given; celebrated dogs are discussed and pictured; and the history of the breed and pedigrees of famous champions are also provided. The contents were well illustrated with numerous photographs of leading and famous dogs of that era and these are all reproduced to the highest quality. Books used include: My Dog And I by H. W. Huntington (1897), Dogs Of The World by Arthur Craven (1931), About Our Dogs by A..Croxton Smith (1931) and many others. 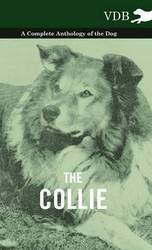 The Collie - A Complete Anthology of the Dog gathers together all the best early writing on the breed from our library of scarce, out-of-print antiquarian books and documents and reprints it in a quality, modern edition. This anthology includes chapters taken from a comprehensive range of books, many of them now rare and much sought-after works, all of them written by renowned breed experts of their day. These books are treasure troves of information about the breed - The physical points, temperaments, and special abilities are given; celebrated dogs are discussed and pictured; and the history of the breed and pedigrees of famous champions are also provided. The contents were well illustrated with numerous photographs of leading and famous dogs of that era and these are all reproduced to the highest quality. Books used include: The Dogs Of The British Islands by Rawdon B. Lee (1899), The Practical Dog Book by Edward C. Ash (1930), Dogs Of The World by Arthur Craven (1931) and many others. 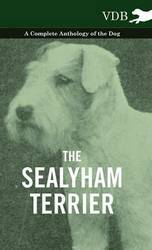 The Sealyham Terrier - A Complete Anthology of the Dog gathers together all the best early writing on the breed from our library of scarce, out-of-print antiquarian books and documents and reprints it in a quality, modern edition. 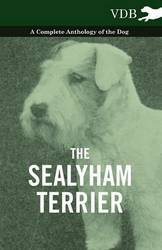 This anthology includes chapters taken from a comprehensive range of books, many of them now rare and much sought-after works, all of them written by renowned breed experts of their day. These books are treasure troves of information about the breed - The physical points, temperaments, and special abilities are given; celebrated dogs are discussed and pictured; and the history of the breed and pedigrees of famous champions are also provided. The contents were well illustrated with numerous photographs of leading and famous dogs of that era and these are all reproduced to the highest quality. Books used include: Dogs And How To Know Them by Edward C. Ash (1925), Dogs Of The World by Arthur Craven (1931), The Book Of Dogs by Stanley West (1935) and many others. 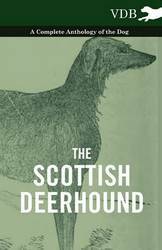 The Scottish Deerhound - A Complete Anthology of the Dog gathers together all the best early writing on the breed from our library of scarce, out-of-print antiquarian books and documents and reprints it in a quality, modern edition. This anthology includes chapters taken from a comprehensive range of books, many of them now rare and much sought-after works, all of them written by renowned breed experts of their day. These books are treasure troves of information about the breed - The physical points, temperaments, and special abilities are given; celebrated dogs are discussed and pictured; and the history of the breed and pedigrees of famous champions are also provided. The contents were well illustrated with numerous photographs of leading and famous dogs of that era and these are all reproduced to the highest quality. Books used include: Dog Shows And Doggy People by C. H. Lane (1902), The Dog Book by James Watson (1906) and many others. 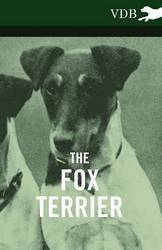 The Fox Terrier - A Complete Anthology of the Dog gathers together all the best early writing on the breed from our library of scarce, out-of-print antiquarian books and documents and reprints it in a quality, modern edition. This anthology includes chapters taken from a comprehensive range of books, many of them now rare and much sought-after works, all of them written by renowned breed experts of their day. These books are treasure troves of information about the breed - The physical points, temperaments, and special abilities are given; celebrated dogs are discussed and pictured; and the history of the breed and pedigrees of famous champions are also provided. The contents were well illustrated with numerous photographs of leading and famous dogs of that era and these are all reproduced to the highest quality. Books used include: My Dog And I by H. W. Huntington (1897), Dogs And How To Know Them by Edward C. Ash (1925), Dogs Of The World by Arthur Craven (1931) and many others. 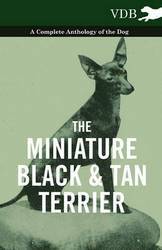 The Miniature Black and Tan Terrier - A Complete Anthology of the Dog gathers together all the best early writing on the breed from our library of scarce, out-of-print antiquarian books and documents and reprints it in a quality, modern edition. This anthology includes chapters taken from a comprehensive range of books, many of them now rare and much sought-after works, all of them written by renowned breed experts of their day. These books are treasure troves of information about the breed - The physical points, temperaments, and special abilities are given; celebrated dogs are discussed and pictured; and the history of the breed and pedigrees of famous champions are also provided. The contents were well illustrated with numerous photographs of leading and famous dogs of that era and these are all reproduced to the highest quality. Books used include: British Dogs by W. D. Drury (1903), The New Book Of The Dog by Robert Leighton (1907), Hutchinson's Dog Encyclopaedia by Walter Hutchinson (1935) and others. 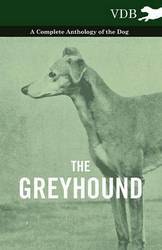 The Greyhound - A Complete Anthology of the Dog gathers together all the best early writing on the breed from our library of scarce, out-of-print antiquarian books and documents and reprints it in a quality, modern edition. This anthology includes chapters taken from a comprehensive range of books, many of them now rare and much sought-after works, all of them written by renowned breed experts of their day. These books are treasure troves of information about the breed - The physical points, temperaments, and special abilities are given; celebrated dogs are discussed and pictured; and the history of the breed and pedigrees of famous champions are also provided. The contents were well illustrated with numerous photographs of leading and famous dogs of that era and these are all reproduced to the highest quality. Books used include: House Dogs And Sporting Dogs by John Meyrick (1861), My Dog And I by H. W. Huntington (1897), The Show Dog by H. W. Huntington (1901) and many others. 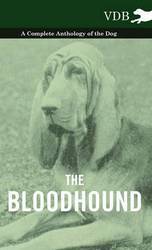 The Bloodhound - A Complete Anthology of the Dog gathers together all the best early writing on the breed from our library of scarce, out-of-print antiquarian books and documents and reprints it in a quality, modern edition. This anthology includes chapters taken from a comprehensive range of books, many of them now rare and much sought-after works, all of them written by renowned breed experts of their day. These books are treasure troves of information about the breed - The physical points, temperaments, and special abilities are given; celebrated dogs are discussed and pictured; and the history of the breed and pedigrees of famous champions are also provided. The contents were well illustrated with numerous photographs of leading and famous dogs of that era and these are all reproduced to the highest quality. Books used include: My Dog And I by H. W. Huntington (1897), Dogs Of The World by Arthur Craven (1931), Hutchinson's Dog Encyclopaedia by Walter Hutchinson (1935) and many others. 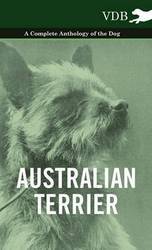 The Australian Terrier - A Complete Anthology of the Dog gathers together all the best early writing on the breed from our library of scarce, out-of-print antiquarian books and documents and reprints it in a quality, modern edition. This anthology includes chapters taken from a comprehensive range of books, many of them now rare and much sought-after works, all of them written by renowned breed experts of their day. These books are treasure troves of information about the breed - The physical points, temperaments, and special abilities are given; celebrated dogs are discussed and pictured; and the history of the breed and pedigrees of famous champions are also provided. The contents were well illustrated with numerous photographs of leading and famous dogs of that era and these are all reproduced to the highest quality. 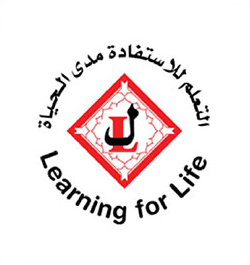 Books used include: The Practical Dog Book by Edward C. Ash (1930), The Book Of Dogs by Stanley West (1935), Hutchinson's Dog Encyclopaedia by Walter Hutchinson (1935) and many others. 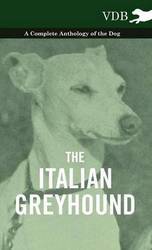 The Italian Greyhound - A Complete Anthology of the Dog gathers together all the best early writing on the breed from our library of scarce, out-of-print antiquarian books and documents and reprints it in a quality, modern edition. This anthology includes chapters taken from a comprehensive range of books, many of them now rare and much sought-after works, all of them written by renowned breed experts of their day. These books are treasure troves of information about the breed - The physical points, temperaments, and special abilities are given; celebrated dogs are discussed and pictured; and the history of the breed and pedigrees of famous champions are also provided. The contents were well illustrated with numerous photographs of leading and famous dogs of that era and these are all reproduced to the highest quality. 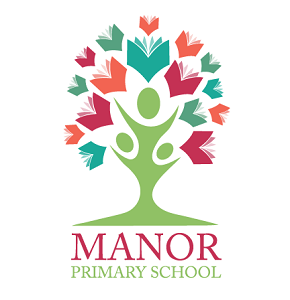 Books used include: House Dogs And Sporting Dogs by John Meyrick (1861), A History And Description Of The Modern Dogs Of Great Britain And Ireland by Rawdon B. Lee (1899), The Twentieth Century Dog by Herbert Compton (1904) and many others. 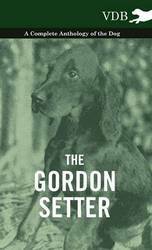 The Gordon Setter - A Complete Anthology of the Dog gathers together all the best early writing on the breed from our library of scarce, out-of-print antiquarian books and documents and reprints it in a quality, modern edition. This anthology includes chapters taken from a comprehensive range of books, many of them now rare and much sought-after works, all of them written by renowned breed experts of their day. These books are treasure troves of information about the breed - The physical points, temperaments, and special abilities are given; celebrated dogs are discussed and pictured; and the history of the breed and pedigrees of famous champions are also provided. The contents were well illustrated with numerous photographs of leading and famous dogs of that era and these are all reproduced to the highest quality. Books used include: My Dog And I by H. W. Huntington (1897), Dogs Of The World by Arthur Craven (1931), Hutchinson's Dog Encyclopaedia by Walter Hutchinson (1935) and many others. 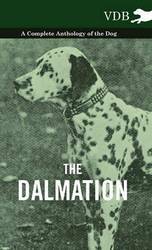 The Dalmatian - A Complete Anthology of the Dog gathers together all the best early writing on the breed from our library of scarce, out-of-print antiquarian books and documents and reprints it in a quality, modern edition. This anthology includes chapters taken from a comprehensive range of books, many of them now rare and much sought-after works, all of them written by renowned breed experts of their day. These books are treasure troves of information about the breed - The physical points, temperaments, and special abilities are given; celebrated dogs are discussed and pictured; and the history of the breed and pedigrees of famous champions are also provided. The contents were well illustrated with numerous photographs of leading and famous dogs of that era and these are all reproduced to the highest quality. Books used include: House Dogs And Sporting Dogs by John Meyrick (1861), Dogs Of The World by Arthur Craven (1931), The Book Of Dogs by Stanley West (1935) and many others. 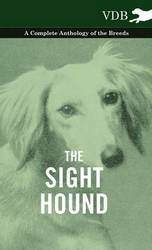 The Sight Hound - A Complete Anthology of the Dog gathers together all the best early writing on the breeds from our library of scarce, out-of-print antiquarian books and documents and reprints it in a quality, modern edition. This anthology includes chapters taken from a comprehensive range of books, many of them now rare and much sought-after works, all of them written by renowned breed experts of their day. These books are treasure troves of information about the breeds - The physical points, temperaments, and special abilities are given; celebrated dogs are discussed and pictured; and the history of each breed and pedigrees of famous champions are also provided. The contents were well illustrated with numerous photographs of leading and famous dogs of that era and these are all reproduced to the highest quality. Books used include: My Dog And I by H. W. Huntington (1897), Dogs Of The World by Arthur Craven (1931), Hutchinson's Dog Encyclopaedia by Walter Hutchinson (1935) and many others. The breeds included in this Volume are: The Afghan Hound, the Borzoi, Greyhounds, the Irish Wolfhound, the Saluki, the Scottish Deerhound and the Whippet. 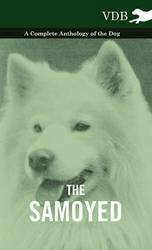 The Samoyed - A Complete Anthology of the Dog gathers together all the best early writing on the breed from our library of scarce, out-of-print antiquarian books and documents and reprints it in a quality, modern edition. This anthology includes chapters taken from a comprehensive range of books, many of them now rare and much sought-after works, all of them written by renowned breed experts of their day. These books are treasure troves of information about the breed - The physical points, temperaments, and special abilities are given; celebrated dogs are discussed and pictured; and the history of the breed and pedigrees of famous champions are also provided. The contents were well illustrated with numerous photographs of leading and famous dogs of that era and these are all reproduced to the highest quality. Books used include: The Kennel Encyclopaedia by J. Sidney Turner (1910), Dogs Of The World by Arthur Craven (1931), Hutchinson's Dog Encyclopaedia by Walter Hutchinson (1935) and many others. 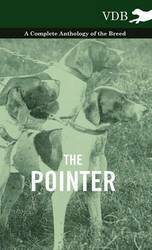 The Pointer - A Complete Anthology of the Dog gathers together all the best early writing on the breed from our library of scarce, out-of-print antiquarian books and documents and reprints it in a quality, modern edition. This anthology includes chapters taken from a comprehensive range of books, many of them now rare and much sought-after works, all of them written by renowned breed experts of their day. These books are treasure troves of information about the breed - The physical points, temperaments, and special abilities are given; celebrated dogs are discussed and pictured; and the history of the breed and pedigrees of famous champions are also provided. The contents were well illustrated with numerous photographs of leading and famous dogs of that era and these are all reproduced to the highest quality. 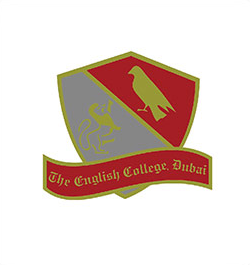 Books used include: The Illustrated Book Of The Dog by Vero Shaw (1879)., Dogs Of The World by Arthur Craven (1931), The Dog In Sport by J. Wentworth Day (1938) and many others. 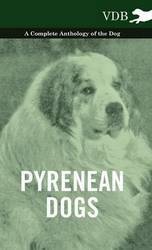 Pyrenean Dogs - A Complete Anthology of the Dog gathers together all the best early writing on the breed from our library of scarce, out-of-print antiquarian books and documents and reprints it in a quality, modern edition. This anthology includes chapters taken from a comprehensive range of books, many of them now rare and much sought-after works, all of them written by renowned breed experts of their day. These books are treasure troves of information about the breed - The physical points, temperaments, and special abilities are given; celebrated dogs are discussed and pictured; and the history of the breed and pedigrees of famous champions are also provided. The contents were well illustrated with numerous photographs of leading and famous dogs of that era and these are all reproduced to the highest quality. Books used include: The Kennel Encyclopaedia by J. Sidney Turner (1910), Dogs Of The World by Arthur Craven (1931) and many others. 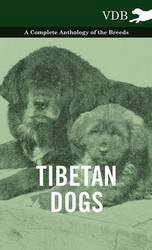 Tibetan Dogs - A Complete Anthology of the Dog gathers together all the best early writing on the breeds from our library of scarce, out-of-print antiquarian books and documents and reprints it in a quality, modern edition. This anthology includes chapters taken from a comprehensive range of books, many of them now rare and much sought-after works, all of them written by renowned breed experts of their day. These books are treasure troves of information about the breeds - The physical points, temperaments, and special abilities are given; celebrated dogs are discussed and pictured; and the history of each breed and pedigrees of famous champions are also provided. The contents were well illustrated with numerous photographs of leading and famous dogs of that era and these are all reproduced to the highest quality. Books used include: The Kennel Encyclopaedia by J. Sidney Turner (1908), Dogs Of The World by Arthur Craven (1931), The Book Of Dogs by Stanley West (1935) and many others. 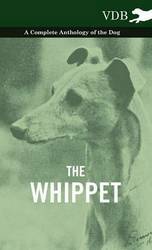 The Whippet - A Complete Anthology of the Dog gathers together all the best early writing on the breed from our library of scarce, out-of-print antiquarian books and documents and reprints it in a quality, modern edition. This anthology includes chapters taken from a comprehensive range of books, many of them now rare and much sought-after works, all of them written by renowned breed experts of their day. These books are treasure troves of information about the breed - The physical points, temperaments, and special abilities are given; celebrated dogs are discussed and pictured; and the history of the breed and pedigrees of famous champions are also provided. The contents were well illustrated with numerous photographs of leading and famous dogs of that era and these are all reproduced to the highest quality. Books used include: My Dog And I by H. W. Huntington (1897), British Dogs by W. D. Drury (1903), Hounds by Frank Townend Barton (1913) and many others. 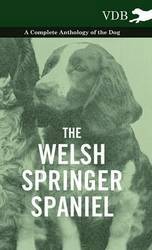 The Welsh Springer Spaniel - A Complete Anthology of the Dog gathers together all the best early writing on the breed from our library of scarce, out-of-print antiquarian books and documents and reprints it in a quality, modern edition. This anthology includes chapters taken from a comprehensive range of books, many of them now rare and much sought-after works, all of them written by renowned breed experts of their day. These books are treasure troves of information about the breed - The physical points, temperaments, and special abilities are given; celebrated dogs are discussed and pictured; and the history of the breed and pedigrees of famous champions are also provided. The contents were well illustrated with numerous photographs of leading and famous dogs of that era and these are all reproduced to the highest quality. Books used include: The New Book Of The Dog by Robert Leighton (1907), Dogs Of The World by Arthur Craven (1931), Hutchinson's Dog Encyclopaedia by Walter Hutchinson (1935) and many others. HISTORY OF BRITISH BIRDS VOL II, BY WILLIAM YARRELL. Many of the earliest books, particularly those dating back to the 1900s and before, are now extremely scarce and increasingly expensive. 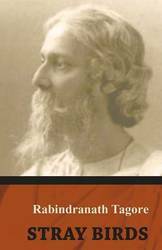 We are republishing these classic works in affordable, high quality, modern editions, using the original text and artwork.